FUEL AUTOTEK is proud to present a limited production run of the iconic MOMO Montecarlo 380, made famous by the HDT-enhanced VK Commodores, most notably the VK Group A and VK Group A Group 3, developed in partnership with the legendary Peter Brock. Globally exclusive to FUEL AUTOTEK in limited numbers, the Montecarlo 380 is manufactured using a new mould based on the enduring Montecarlo 350, but with a diameter of 380mm, providing an optimum view of the dash cluster. The Montecarlo 380 features a grip diameter of 26mm x 33mm at the top and 26mm x 36mm at the bottom and a subtle depth of 40mm. The MOMO Montecarlo 380 has been engineered to provide the most comfortable and accessible driving experience. The Montecarlo features a generous anatomic grip complete with high-quality Top Grain black leather. The all-black design is complemented by the black aluminium spoke and black horn button. The throwback aesthetic is completed by the square edge dress ring surrounding the horn button. 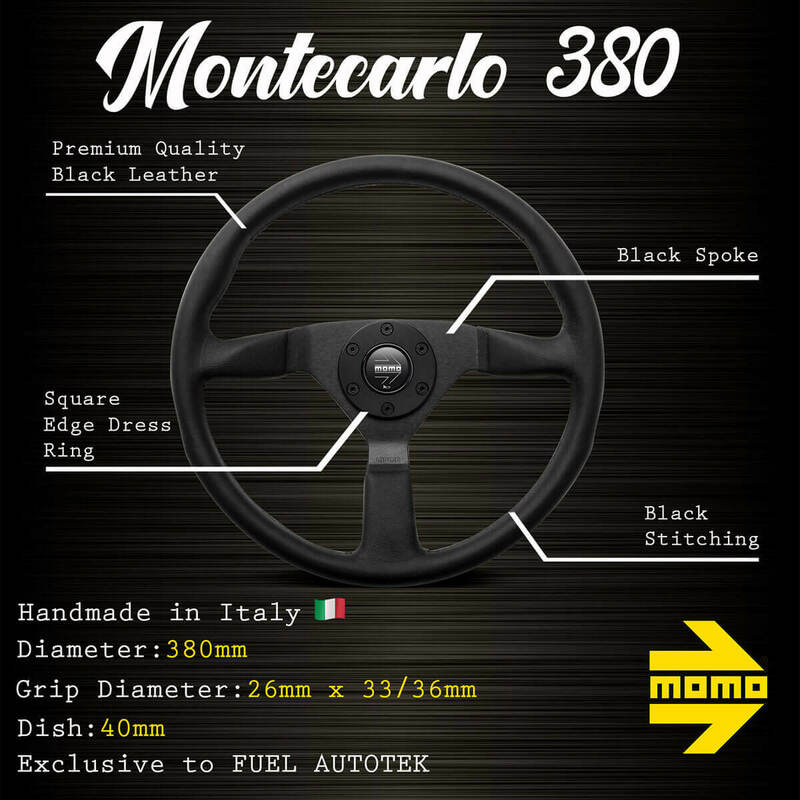 Like all MOMO steering wheels, the Montecarlo 380 is made in Italy from the highest quality materials. An aftermarket hub is required for installation, contact FUEL AUTOTEK to learn more about MOMO’s range of hub kits. The Montecarlo 380 was officially unveiled at Summernats 32 and will be launched on the FUEL AUTOTEK online store once pre-orders have been fulfilled. 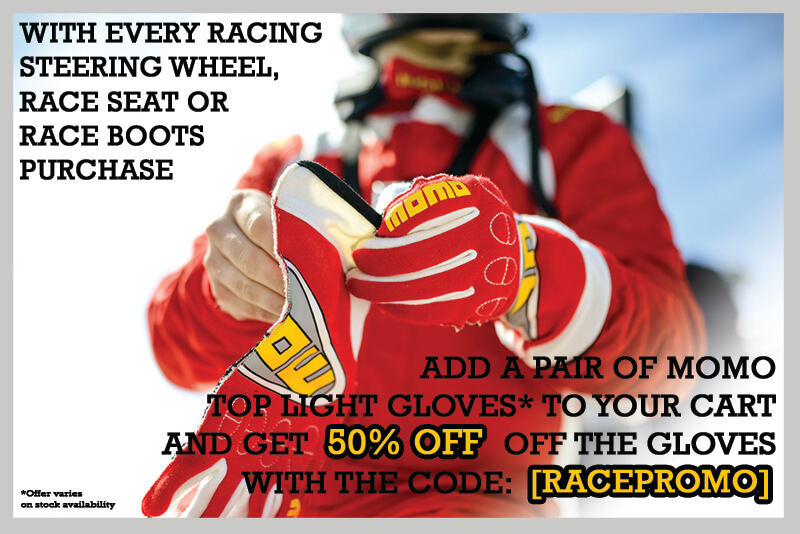 Contact FUEL AUTOTEK to learn more about the Montecarlo 380, for which availability is strictly limited.